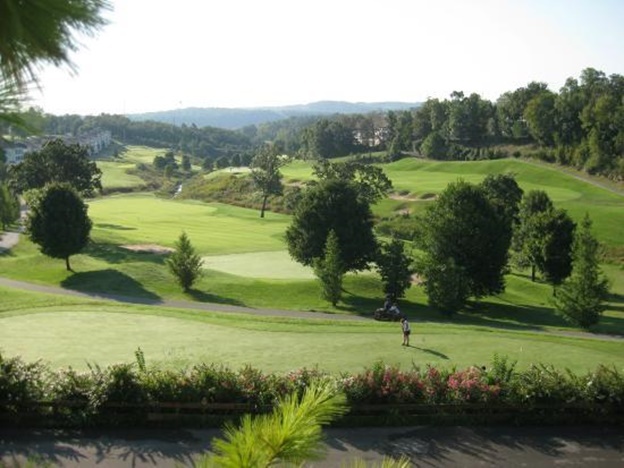 Thousand Hills Golf Resort in Branson is a fascinating vacation destination because you can have a relaxing stay in their cozy golf condos and a chance to play in a beautiful golf course. Whatever season you want to spend your vacation in Branson, Thousand Hills Golf Resort will guarantee you to enjoy a memorable vacation with great fun and irresistible golf experience. The convenient location of the resort near the heart of Branson, gives you easy access to entertainment shows, exciting attractions, museums, theme parks, shopping and fine dining. The cozy golf condos at Thousand Hills Golf Resort have great features of top quality amenities. These golf condos have spacious bedrooms that can accommodate big group of guests. When you take a wonderful vacation in the elegant golf condos at Thousand Hills, you will experience a convenient and comfortable stay in a rustic place that cannot be enjoyed in a regular hotel accommodation. All the golf condos provide guests the opportunity to enjoy the spectacular sceneries that surround the resort. The resort is also home to the most popular golf course in Branson. The 18-hole golf course inside the resort is an award-winning course that is played by thousands of golfers from around the world. A wonderful stay at Thousand Hills Golf Resort not only gives you the chance to play golf but also allows you to enjoy the picturesque views of the beautiful natural scenery and wildlife around the Ozark mountains. The beautiful location of Thousand Hills Golf Resort in a secluded place gives golfers a chance to enjoy a unique golf experience in a relaxing and calm environment. The 18-hole golf course at Thousand Hills Golf Resort is rated 4-Stars by the Golf Digest magazine in 2009. It is also voted as the Best of the Ozarks for two consecutive years by the Springfield News-Leader. Golf in Branson gained popularity because of its ability to cater different golf skill levels. The golf course has three separate sets of tees that cater all golfers with no discrimination on age and experience. The relaxing atmosphere that golfers can experience at the resort, is one of the reasons why many golfers choose to play golf at Thousand Hills Golf Resort. The popular 18-hole golf course at the resort offers beautiful landscapes that include Ozark streams, beautiful hardwood forests, lakes, and dramatic elevation changes. Thousand Hills Golf Course is the only public golf course in Branson which is accessible to entertainment district and Highway 76 Strip. The resort offers golf specials and packages that include Early Bird Special (will open on the first hour to play nine holes for only $29.00, cart included); 3-Day Unlimited Golf Pass (to get 3 consecutive days of unlimited golf for $99 plus tax including power cart); and Twilight Golf Special (18-hole golf playing with a cart for only $29). So, if you are looking for the most relaxing golf resort in Branson, book a wonderful stay at the cozy golf condos at Thousand Hills Golf Resort.